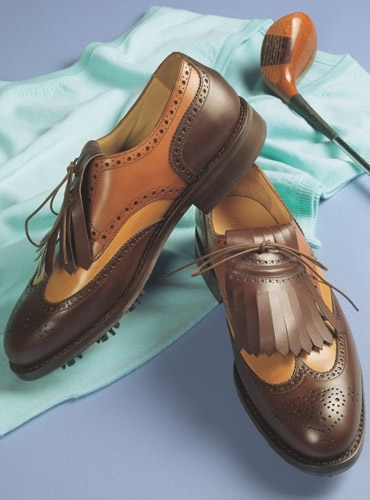 From Nettleton Shoes, our brown and tan golf shoe is an excellent addition to the gentleman's wardrobe. 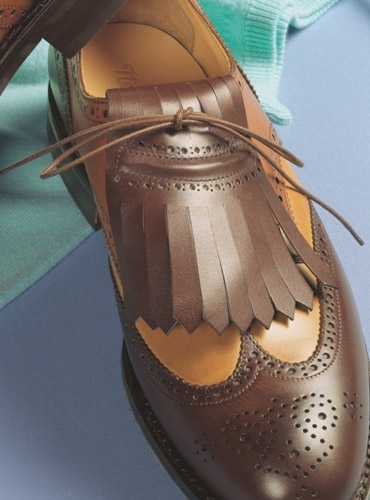 Features Goodyear-welted construction, brogue detailing, rubber soles with removable plastic spikes and a removable shawl top that makes the shoe appropriate for not only the golf course, but also for everyday wear. Available in sizes 8-12, D width.